Good news for Tomagotchi and Pokémon fans! 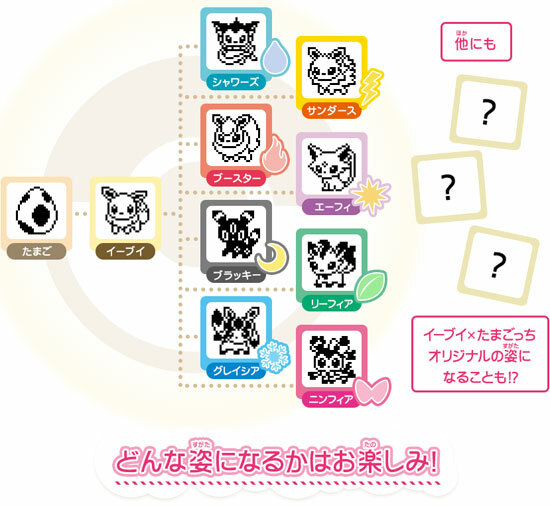 There will be a Tamagotchi of Eevee coming! For those younger ones who have no idea what is a tamagotchi, it is a portable game gadget that you can play with like a virtual pet. It was very popular in the 1990s where mobile phone is not around then. There are two version or design to choose from. You can get to feed it and watch it grow in real time. As for growing, it is more of evolving for your Eevee of different form. Apparently there are 3 additional form to evolve which is as mystery for now. This would be a perfect game for retro gamer and children and is schedule to be release in January 2019 at 2,300 Yen. So far it is only in Japanese version. No news on English version as of now.